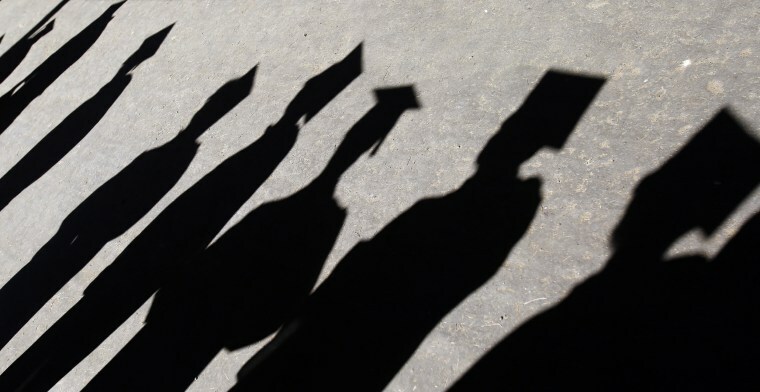 Amid a robust economy and low unemployment, why can't grads get hired? Why are employers turning up their noses at the last of the millennials? With a robust economy and near-record low unemployment rate, 2018 is shaping up to be the best year in the past decade for job seekers. But best not get too cavalier — especially if you’re fresh out of college. A new report from the National Association of Colleges and Employers (NACE) shows that for the first time in eight years, managers are pulling back the reins on hiring college grads, with a projected 1.3 percent decrease from last year. Additionally, a survey from Monster.com found that of 350 college students polled, 75 percent don't have a job lined up yet. So why are employers turning up their noses at the last of the millennials? Are recent graduates prepared for the US' changing job market? First, it's important to note that NACE's prediction of a hiring dip appears to be tied to the pains of two major employment sectors: retail and insurance. "Retail hiring is down because there's still so much fallout from e-commerce," Ryan Severino, chief economist at JLL, told NBC News. "The insurance hiring declines are due to the many disasters last year and a consequence of the payouts these companies had to make." Three out of four grads-to-be don't even have a job lined up. Maria Flynn, CEO of Jobs for the Future, seconds Severino's observations, adding that increased automation in the insurance sector could also be a factor. "More and more actuarial jobs are being automated and a lot of those traditional jobs are being eliminated or restructured." Despite the diminished interest in hiring grads in the retail and insurance sectors, experts concur that the prospects across the board aren’t too bleak. "A 1.3 percent decrease isn't too alarming, particularly given a sustained period of expansion, as we have seen," said Flynn. Vicki Salemi, career expert at Monster.com, points out that ideally, students launch their job search efforts in the fall of their senior year when recruiters are ramping up their on-campus efforts to attract new candidates. Of course, this can be tough when you’re juggling school and possibly a part-time job, or if you’re simply undecided about what career you want to pursue. Moreover, only select competitive fields have these robust recruiting efforts. Liberal arts students tend not to see the same kind of corporate enthusiasm for their talents as their peers in STEM, finance, or business. Typically, students have to start paying back their student loans six months after graduation. With these financial pressures looming, it’s likely that grads who don’t have a job lined up will consider moving back home. “I see the millennial trend of moving back home into your parents’ basement continuing, especially when you factor in their student debt,” said Salemi, adding that this doesn’t have to be a negative thing (parents may of course, beg to differ). Greater migrations may also be carried out, especially if those new to the workforce are eager to put their skills to use in the regions that have a shortage of talent. Not only might they have a better quality of life (and be able to pay down their staggering student loan debts), but their willingness to make the move to a less glamorous locale could actually play into the hands of companies who are keen on keeping costs down.